Check out the past month's collection of blog articles. Topics include: Hot Tips for Improving Welding Safety; Creating a Culture of Safety; How to Select a Flame Detector; and Getting Trained Before Purchasing Safety Equipment. Read the full article to access. Safety must go beyond products and services you offer and must be woven into your company’s culture. Learn how you can create an effective culture of safety. As a safety professional, you want to purchase flame detectors that meet your facility’s needs. Learn what to consider when choosing a flame detection system. Creating a safe and well-equipped workforce starts with proper training. 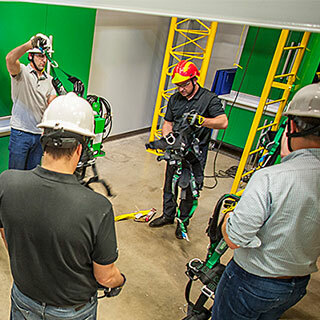 Learn about the importance of getting trained before purchasing safety equipment. Industry trends in worker protection and safety products. Advice on responding to changing safety regulations. Best practice guidance for equipment usage and maintenance. If you haven't already, SIGN UP NOW to receive the most up-to-date safety information to help protect workers.